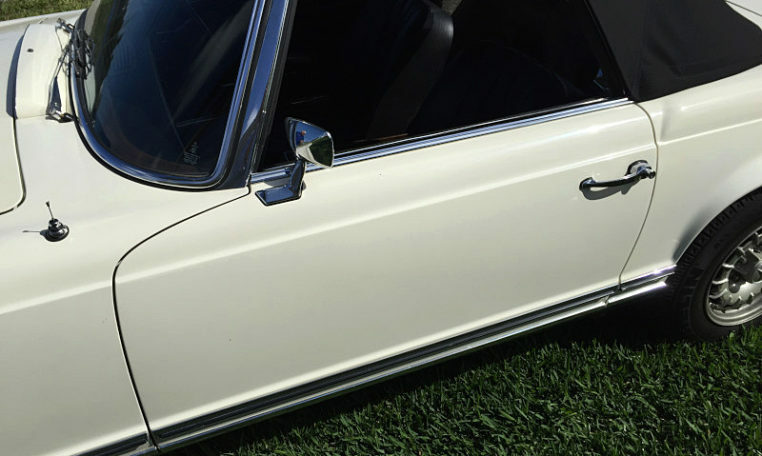 The 280SL was exclusively built between 1967 and 1971, with only 143 cars that were produced in the first year. 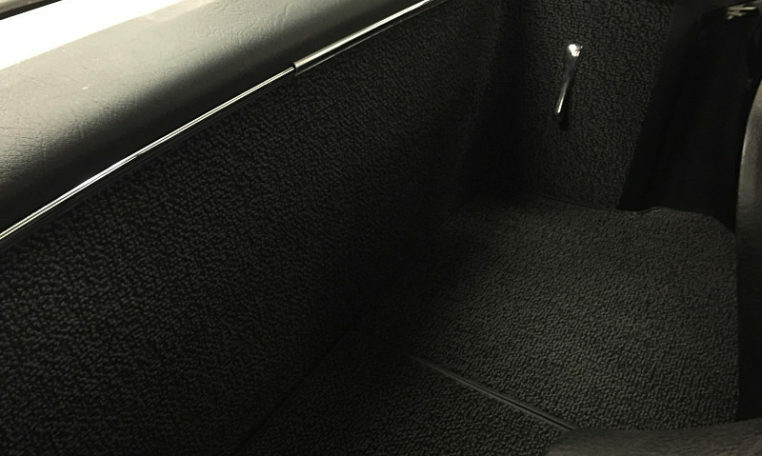 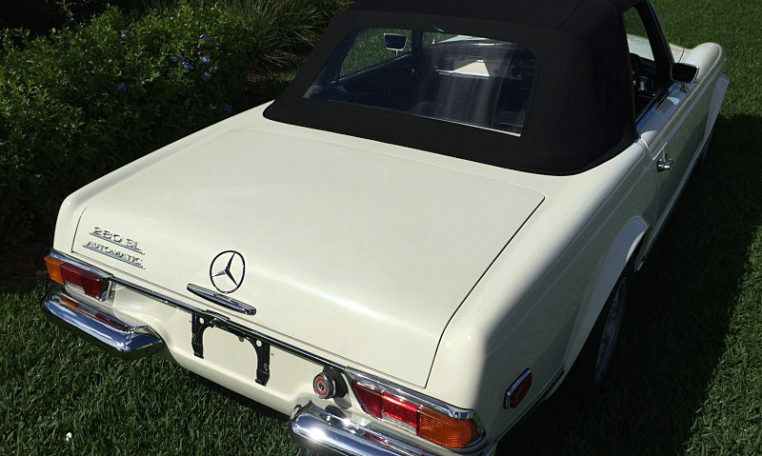 The final production run of the W 113 280 SL Roadster would last just eight months, from July 1970 to March 1971, and it was then discontinued to make way for the then new W107 series. 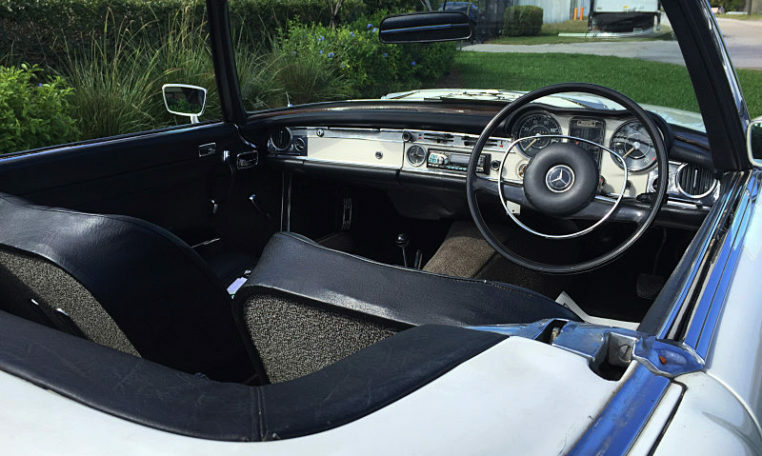 The 280 SL’s could be ordered with a four-speed manual transmission or in a four-speed automatic. 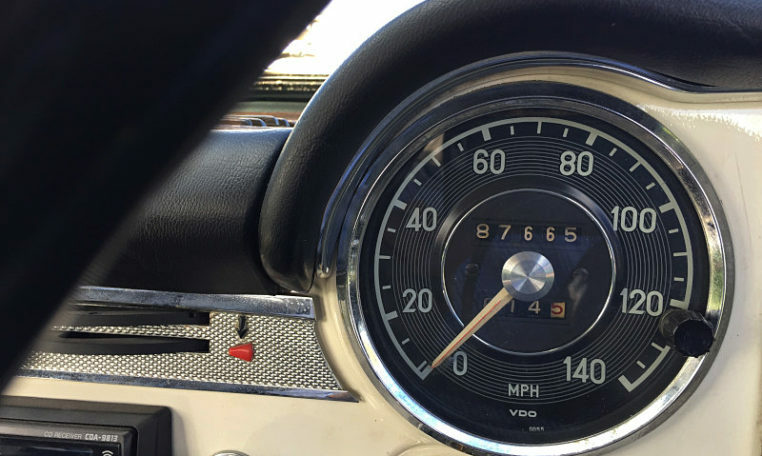 In the manual version all four gears were synchromesh. 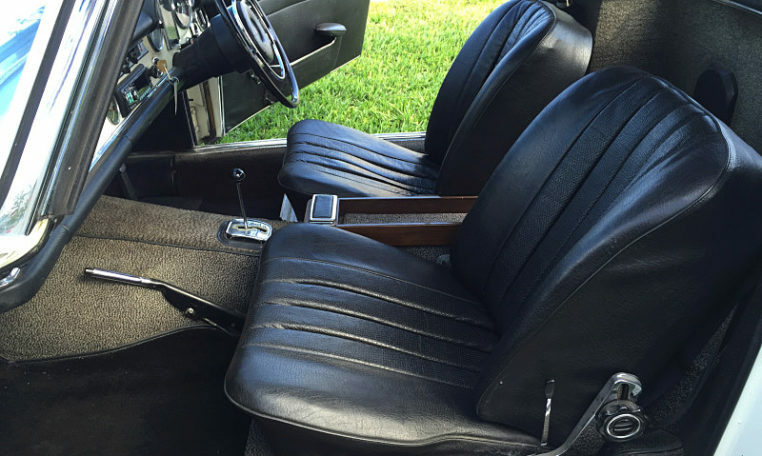 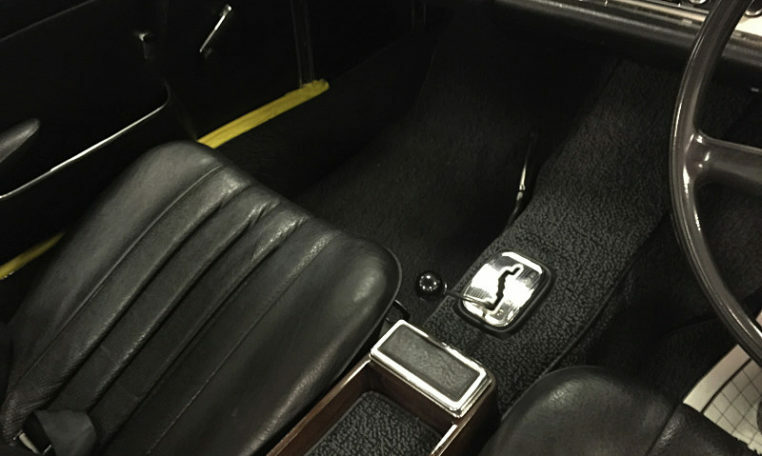 Some cars came with the very rare five-speed manual transmission and all engines shared a mechanical fuel injection system. 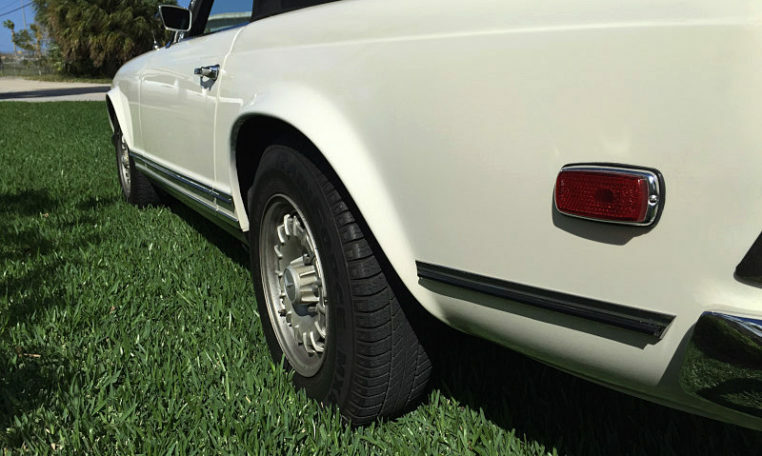 The SL’s series shared the same ‘W 113′ chassis, the ‘W’ standing for ‘Wagen’, with the models sharing many features and common parts. 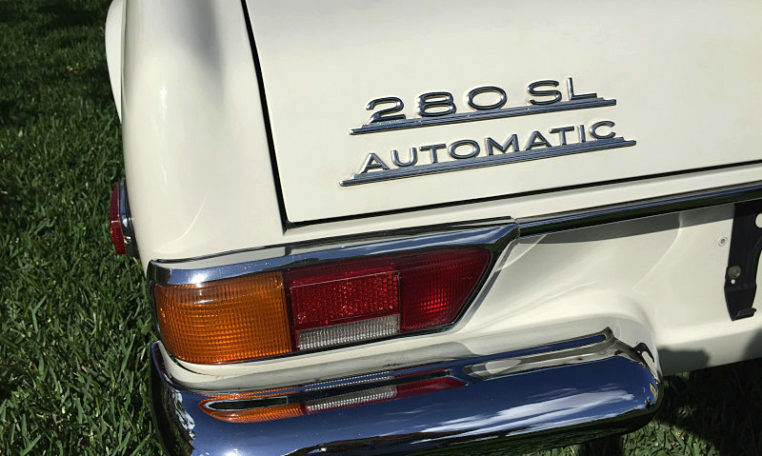 The SL stands for ‘Sport Light’, or ‘Sport Leicht’ in German. 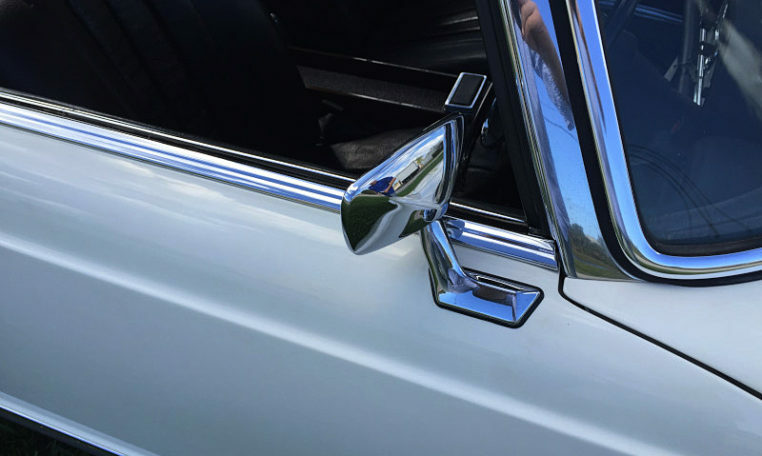 The Gullwing got its name due to the way the two doors swung up along the roof line, where the open doors would take on the appearance of a seagull in full flight. 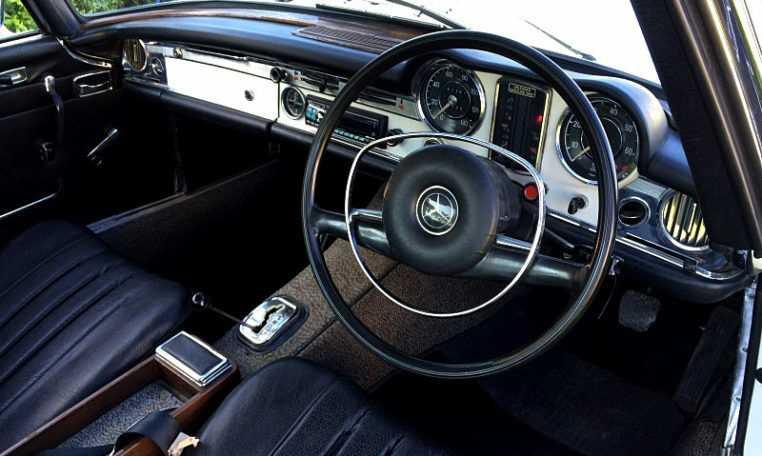 The 280 SL top speed and acceleration didn’t win many points with Mercedes-Benz owners as it was quite heavy for a sports car, but it did turn out to be the perfect vehicle for the Autobahn-express with a comfortable high cruising speed that could be maintained for a an extended period of driving time. 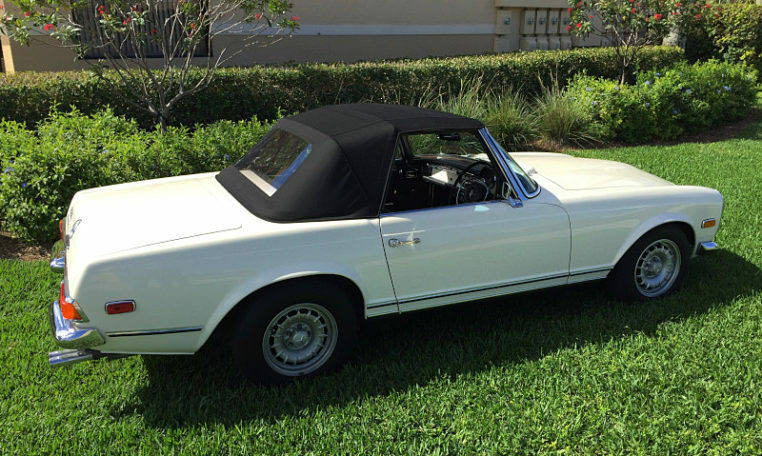 The models nickname of ‘Pagoda’ was a reference to the shape of the hardtop roof, that was reminiscent of the shape of a Japanese style Pagoda, where the roof center is slightly lower than the sides. 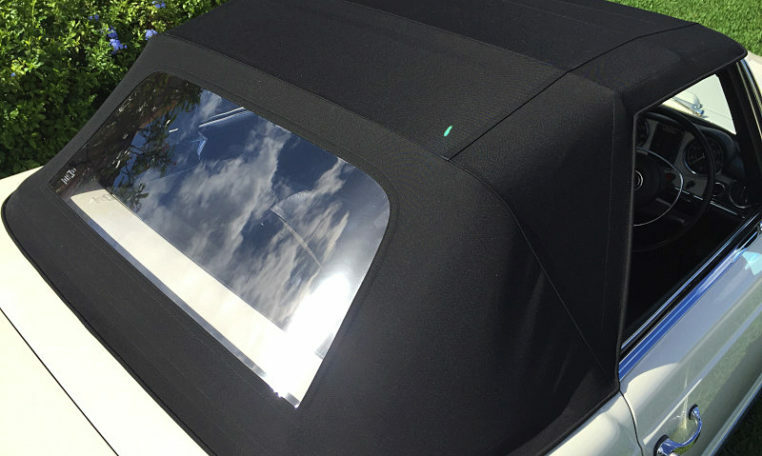 Eventually, the roofs were raised slightly to allow for easier entry and exit from the car, and the side of the roof now allowed for larger side windows, as well as increasing the roofs overall strength. 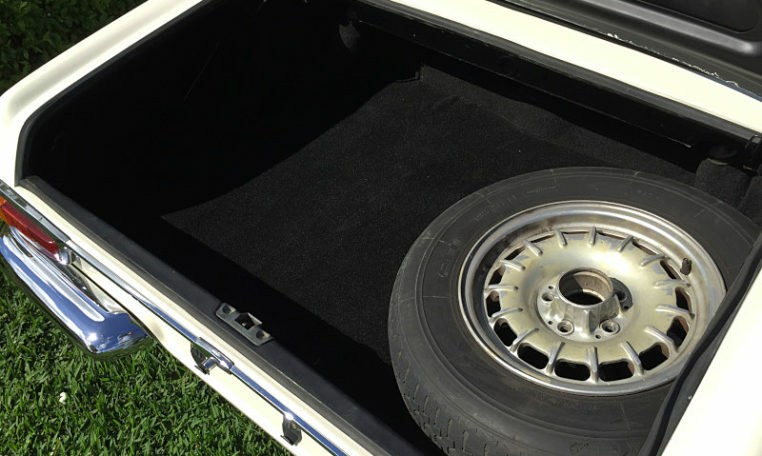 The 280 SL came in a flexible variation of tops: from soft top, to a removable hardtop, or even the option of both. 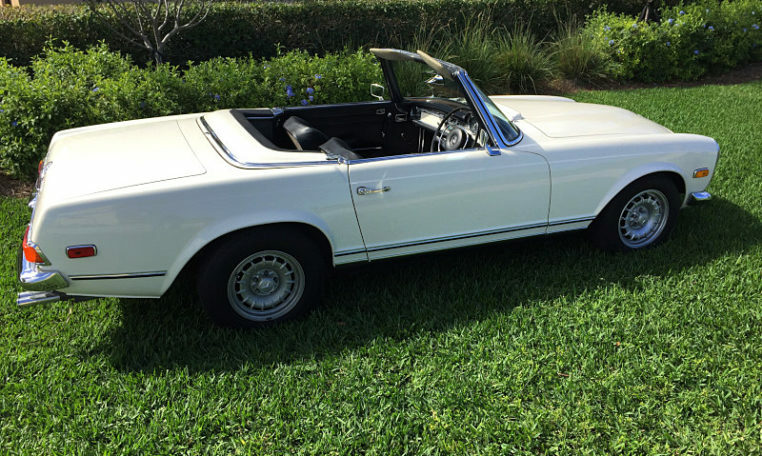 It was unofficially called the ‘Californian’, the option was only available to order with the removable hardtop and not with the soft top version. 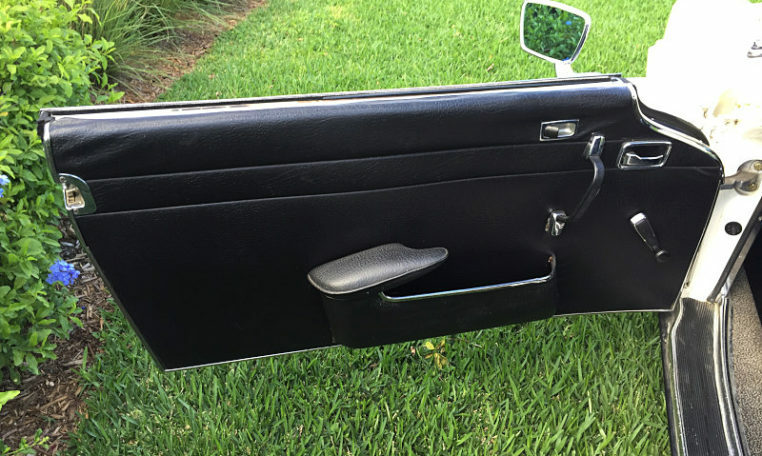 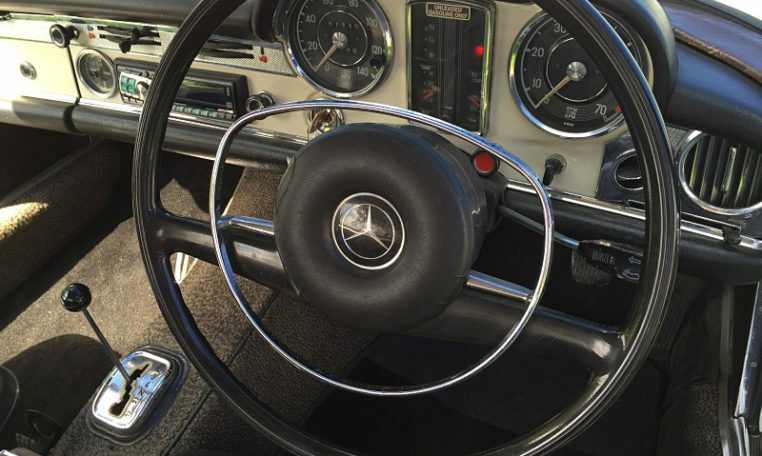 Standard 280 SL features included: four-wheel power disc brakes, a tachometer, with console tray, wood trim on top of the dashboard, a clock, three-point seat belts, and soft map pocket within each door. 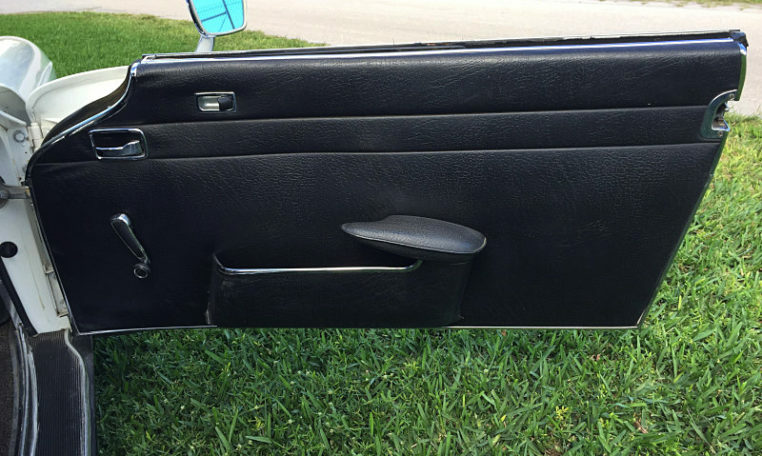 Air conditioning did not come standard from the factory and it was dealer installed. 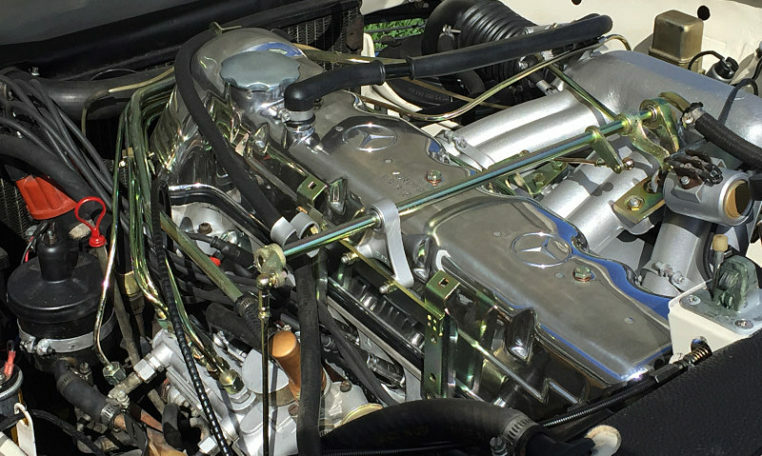 The 280 SL benefited from a new oil cooler design that had replaced the oil-water heat exchanger from previous engine designs in the 230 and 250 series. 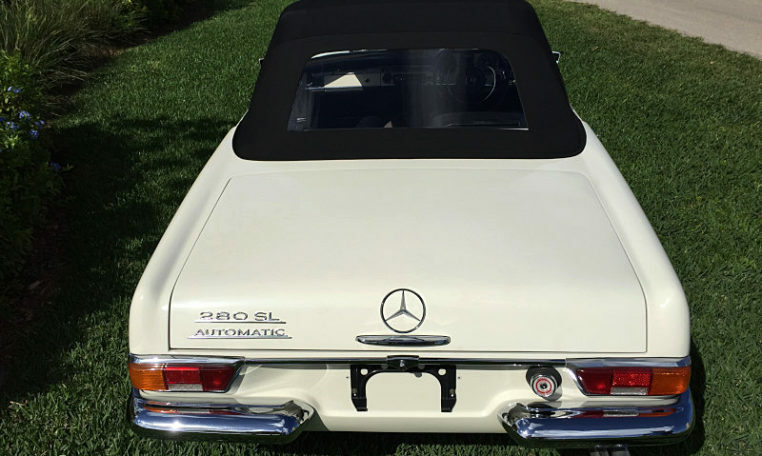 From 1968 through the 1971 model year, just 23,742 280 SL’s were ever built, with aproximately half of them being sold in the United States, and of this number, only about 25 percent still remain road licensed. 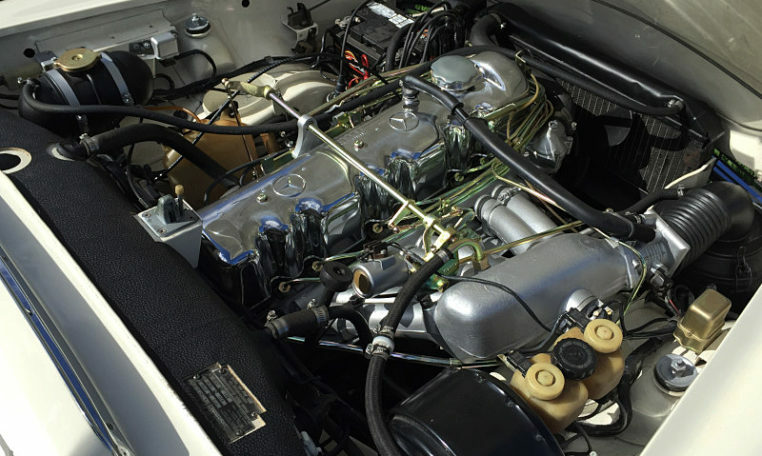 The 280 SL saw it’s highest production year in 1969, when 8,047 were built. 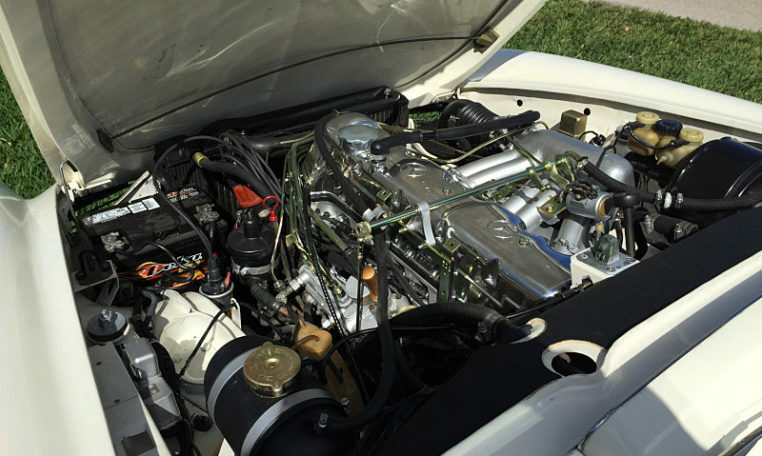 Although some sources allude that 143 were built in 1967 and therefore should be considered 1967 models. 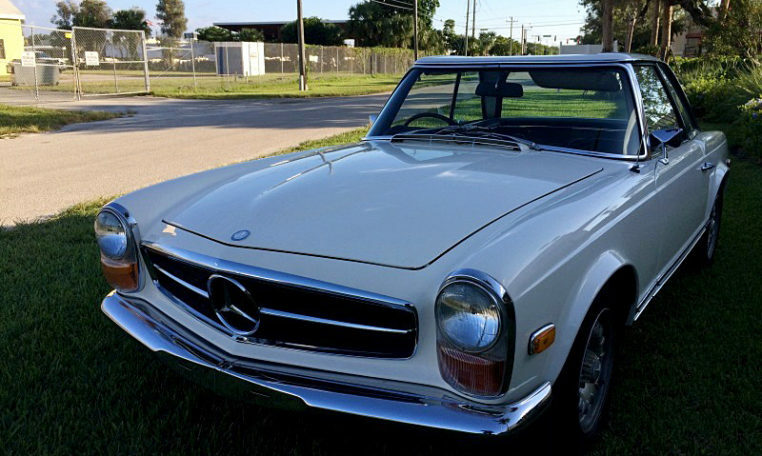 One thing is certain like most Mercedes-Benz cars, the SL series will retain their value even when faced with recessions due to their growing rarity. 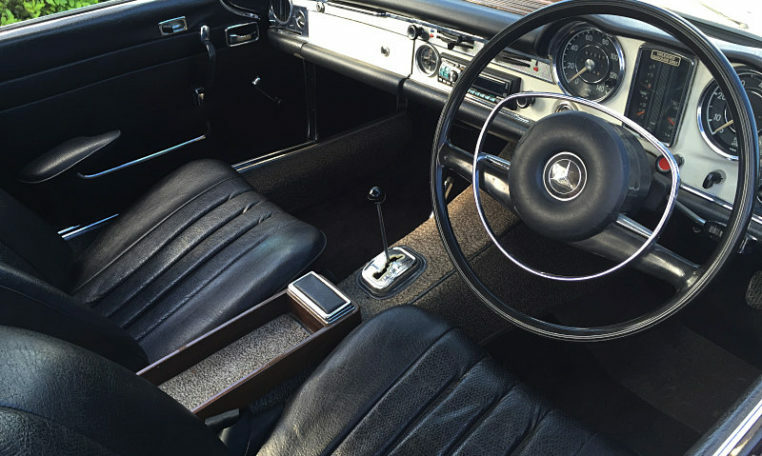 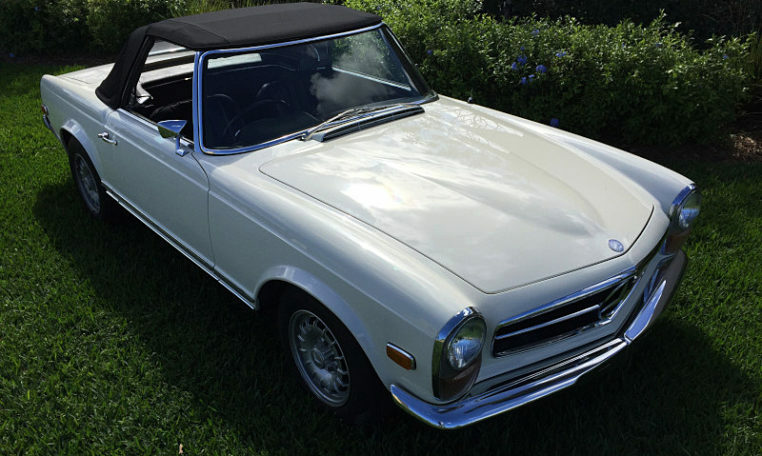 Vintage Car Importers is exclusively brokering a RHD automatic, numbers-matching 1970 Mercedes 280SL Pagoda W113 that has been fully restored to it’s original factory condition. 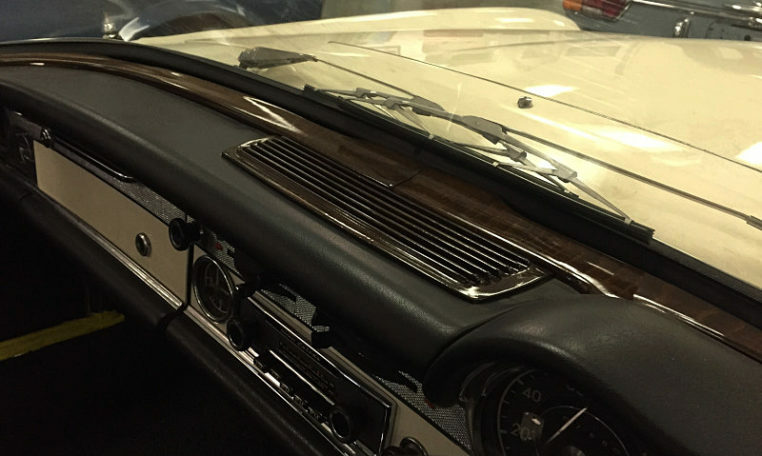 The restored 1970 Mercedes 280SL Pagoda was delivered to Ipswich in the United Kingdom in January 2016 and #VCI has been given access to the full restoration documentation and all the invoices have been accounted for.